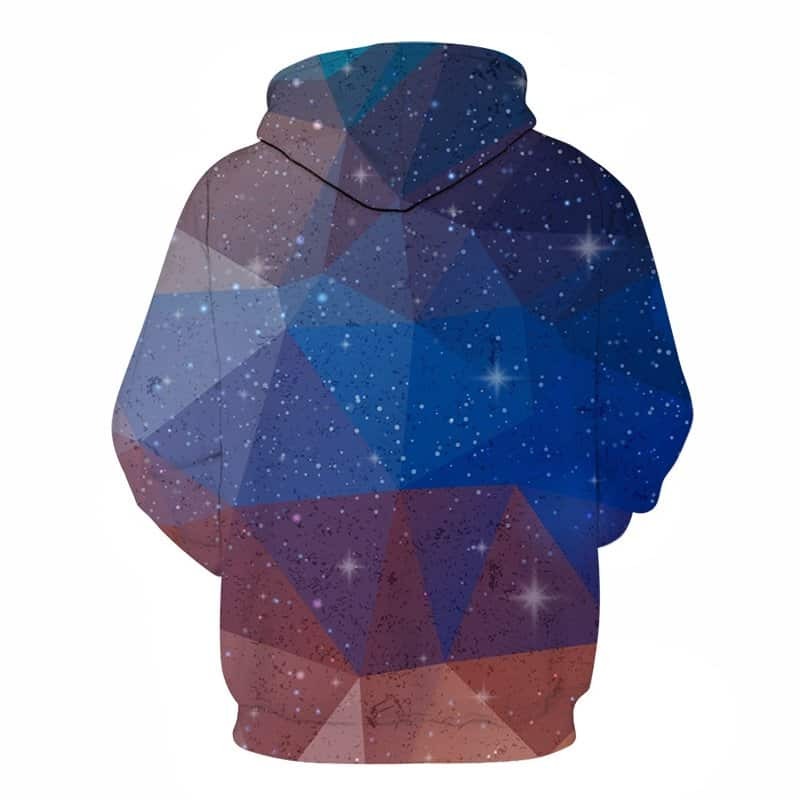 A very stylish and abstract Triangular Star Hoodie. Simple yet effective. 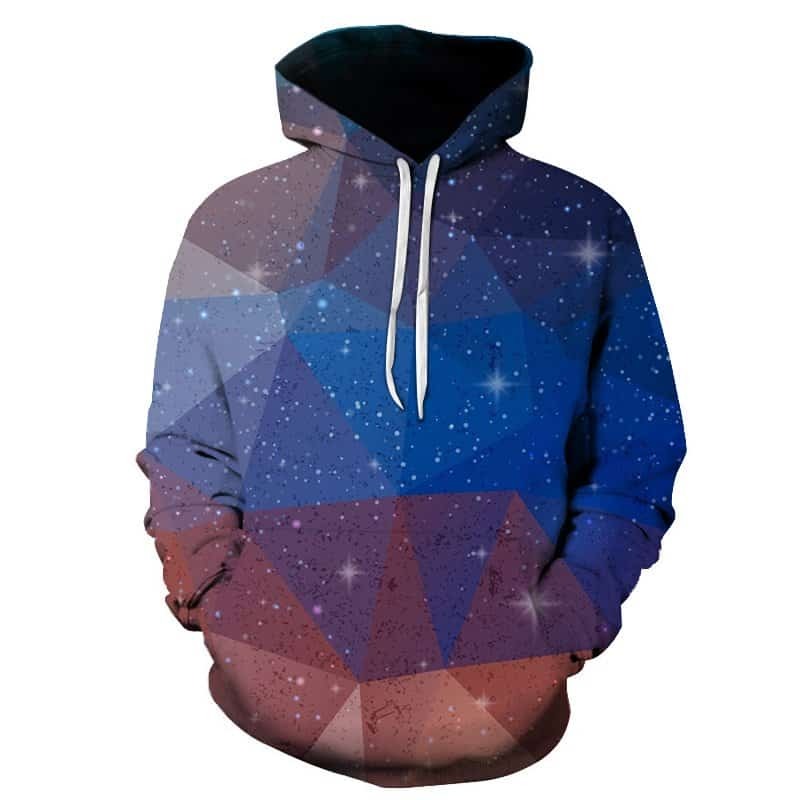 Mixture of blues, purples and orange shades, along with stars and a triangular pattern makes for a powerful effect. The hoodie is comfortable to wear, looks fashionable and is wearable anywhere. It was designed for both male and female.